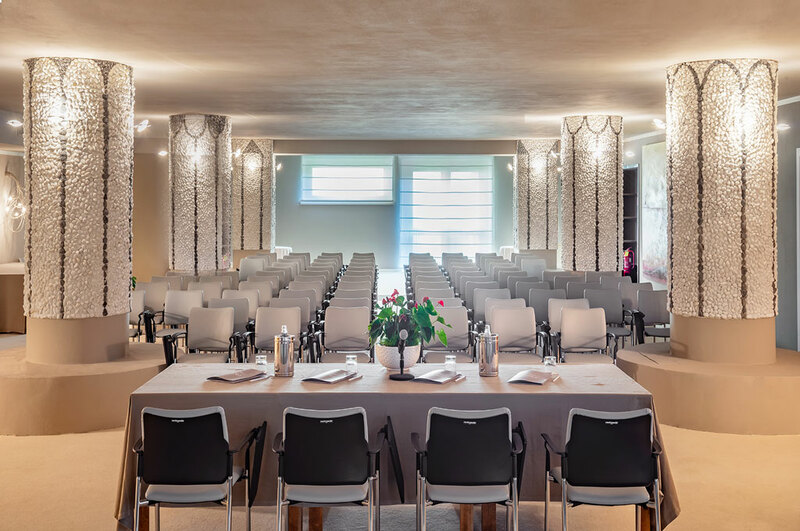 “IT IS NOT WELLNESS NOR THE SPLENDOR, BUT THE TRANQUILITY AND WORK, THAT GIVES HAPPINESS"
Choosing Tombolo Talasso Resort for Meetings & Incentives is synonymous with attention to its employees and dedication to work. Tombolo Talasso Resort has two equipped rooms - Sala Piero Ieri and Sala Cobalto - customizable and carefully furnished. 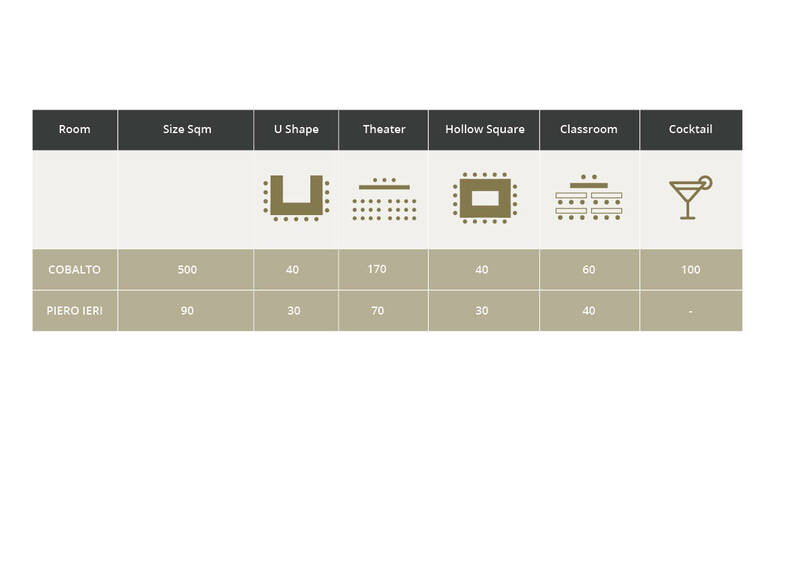 At disposal for our guests: armchairs or chairs without counter in equivalent number to the participants, a table of presidency, soundproofing, air conditioning, daily cleaning, graduated lighting, flip chart, overhead projector, water service, folders, pencils and sheets. There are also various support services available on request: welcome drinks, coffee breaks, business lunches, buffets, gala dinners, hostess service, musical entertainment, security service, guides for excursions in the main cities of art, guides for food and wine tours , tasting guides, shuttle services, training activities in outdoor training, team building, team working, self empowerment, leadership.